The mega-cruise ship ‘Ovation of the Seas’ has worked its way to its mooring in Port Chalmers this morning. The biggest cruise ship was met by a pilot boat about 7:30am and passed through the heads of the harbour about 7:45am. The second attempt at the vessel’s inaugural Dunedin visit would be marked by a “plaque and key” ceremony, in which Port Otago and the ship’s captain would exchange plaques to mark the event, a spokeswoman confirmed. The ship was supposed to originally visit Dunedin on December 22 last year but had to cancel the visit due to bad weather. MS Ovation of the Seas is a cruise ship operating for Royal Caribbean International (RCI). The vessel is the third ship in the Quantum class, which surpasses RCI’s earlier Freedom-class ships by over 14,000 GT, becoming the second largest class of passenger ships behind RCI’s Oasis class ships on a gross tonnage basis. On February 11, 2011, RCI announced that it had ordered a new class of ships from the Meyer Werft shipyard in Papenburg, Germany, the first of which was scheduled to be delivered by fall 2014. At the time, the project was code-named “Project Sunshine”. On February 29, 2012, the company announced that a second “Project Sunshine” ship had been ordered and would be delivered by Spring 2015. Just under a year later, on January 31, 2013, RCI announced that the official name of the new class of ships was the Quantum class. Ovation of the Seas, the third vessel in the Quantum class, was laid down by Meyer Werft on March 5, 2015. Before the first piece of keel was lowered into place, Adam Goldstein, President and COO of Royal Caribbean Cruises Ltd., the holding company of RCI, placed a lucky coin in the dock. The keel will eventually be formed of 74 blocks. The first section was launched on 20 June 2015. Ovation of the Seas was delivered on April 8, 2016. Ovation of the Seas entered service on 14 April 2016. Ovation of the Seas arrived from Hamburg to the Port of Southampton, UK on April 10, 2016, to begin a series of inaugural events, including press previews and a limited number of “Shake-down” and mini cruises for VIPs, specially invited guests and members of the public. The ship berths at the City Cruise Terminal in the Western Docks, where its sister ships also dock when visiting the city. Following her entry into service, Ovation of the Seas departed on an inaugural 52-night Global Odyssey cruise from the Port of Southampton in the UK on May 3, 2016. The ship’s ultimate destination on that cruise was Tianjin in China, where she homeported and operated a series of cruises to destinations in Asia. During the summer of 2016–17, the vessel will homeport in Sydney, Australia. Acer pseudoplatanus, the sycamore or sycamore maple, is considered to be invasive in New Zealand and is also considered to be an environmental weed in some parts of Australia. Acer pseudoplatanus is a species of maple native to Central Europe and Southwestern Asia, from France eastwards to Ukraine, and south in mountains to northern Spain, northern Turkey and the Caucasus, but cultivated and naturalised elsewhere. The Dunedin City Council has sycamore trees firmly in its sights as the invasive plant threatens to choke the life out of the town belt. Parks manager Lisa Wheeler said the town belt was becoming “inundated” with fast-growing trees. […] “The town belt is getting inundated again with it. Leith Valley, through the university … over the next few years you are going to see an increase in seedlings coming through.” She said the council had done a small mapping exercise in the West Harbour where there was a big problem with the trees and would now look to work with community groups and residents throughout the city. “A ghastly mass of stumps and branches, rampant ivy, aluminium weed, blackberry and sycamore saplings” had been left behind. Recent tree cutting and pruning operations on tracks near Jubilee Park have destroyed “magical bush walks” there, Dunedin resident Pat Petersen says. Mrs Petersen (79), who has lived near the Belleknowes park for the past 48 years and is a regular walker of nearby tracks in the Town Belt, said she was “very upset” by the continuing work. 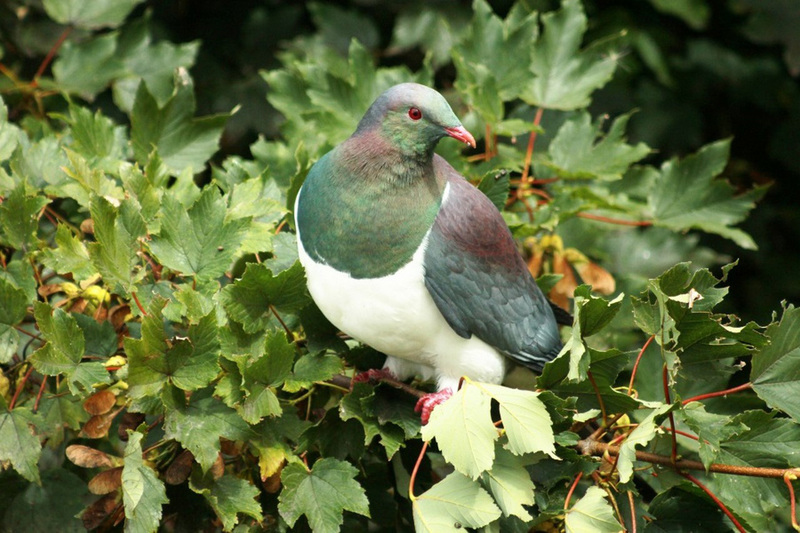 […] She said “swathes” of broad-leafed coprosma, rangiora and, to a lesser extent, five-finger and karamu had recently been “cut and slashed” beside the bush walks. Sycamore trees are in the crosshairs of Dunedin city councillors, who have asked council staff to identify the implications of registering them as a noxious plant. Councillors also supported, in principle, initiatives to control and eradicate the trees on all public land, including roadsides and rail corridors. The decision was taken by councillors considering the 2013-14 annual plan. Undeterred by the 2007-09 global financial crisis, Port Otago has successfully navigated its way through tough times to deliver 100% owner the Otago Regional Council more than $50 million in dividends during the past five years alone. Simon Hartley talks to Port Otago chief executive Geoff Plunket about its performance and contribution during the past decade. Port Otago goes into 2015 in fine financial shape, with tens of millions of dollars in development under way, staff numbers increasing and the company optimistic about new developments. Its subsidiary Chalmers Properties, which oversees a portfolio valued at $260 million, has $20 million to invest, and a separate “inland port” at Mosgiel could be up and running by 2017, as could more Sawyers Bay warehousing – all in all, an average annual capital expenditure of $10 million for each year over the next decade. 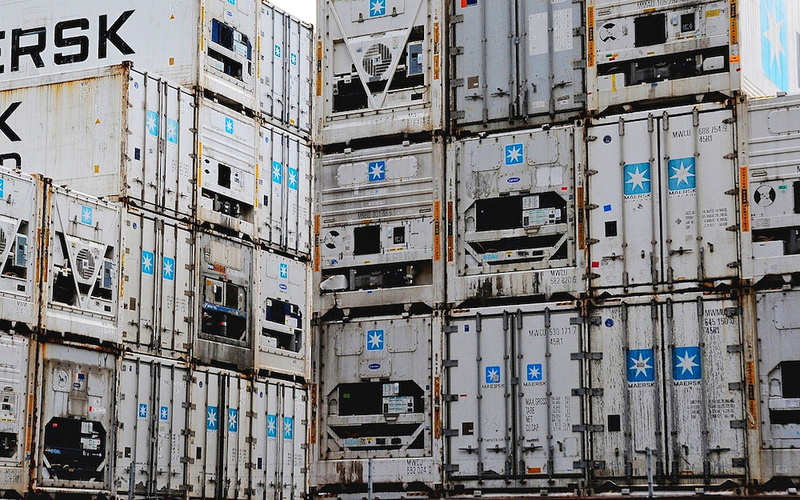 Inland port by 2017, Sawyers Bay developments – TIME TO GET SHUNTING OFF THE SECTION OF MAIN TRUNK LINE THAT PREVENTS HARBOUR ACCESS via Rattray and Fryatt Streets. Restore the controlled pedestrian, cycle and vehicle crossing at grade. Port Otago is planning simulations to see if it can handle the next generation of super-size passenger ships. Know as the Quantum class, the upcoming giant cruise ships are being built by Royal Caribbean International. Port Otago general manager Peter Brown said the cruise company had indicated it was interested in bringing the Quantum class to New Zealand ports for the 2017 season. In the next few months, Port Otago pilots would be using a computer simulation to determine whether the port could handle the Quantum class, he said. The world’s first smart ship! The future of cruising is almost here. In less than 100 days, Quantum of the Seas will launch. Prepare for a vacation revolution. Sail during the inaugural seasons and witness higher flying thrills, more immersive entertainment, dining to rival metropolitan culinary scenes and innovation never seen before at sea. Will you be among the first to experience it? The countdown has begun. █ Visit http://www.quantumoftheseas.com to learn more [includes video animation and more]. 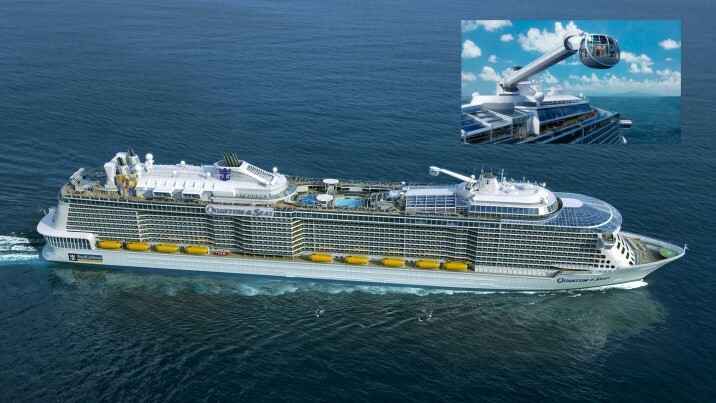 Quantum of the Seas and Anthem of the Seas, are expected to be delivered in October 2014 and spring 2015, respectively Royal Caribbean’s Quantum of the Seas will feature game-changing firsts at sea such as skydiving; breath-taking views 300 feet above sea level in a jewel-like capsule; cutting-edge transformative venues with bumper cars, roller-skating and more; and the most spacious and luxurious staterooms – all designed to deliver vacation experiences never before seen within the cruise industry and only found on Royal Caribbean International. Cruise passengers will spend less in New Zealand ports as cruise ships aim to increase revenue from onboard sales, a Canadian university professor says. Memorial University of Newfoundland Professor Ross Klein, who recently spoke at a New Zealand Tourism Research Institute seminar, said ports had unrealistic expectations for the revenue derived from cruise-ship visits. Klein has published four books and six reports for government organisations on the cruise industry. Cruise passengers would have less disposable income to spend in ports as cruise ships encouraged onboard spending, he said. Royal Caribbean Cruises announced last month a plan called the “Double-Double Program”, which aims to double 2014 earnings per share by 2017 and bring the company’s return on capital to “double-digit” percentages. Orange traffic cones may be a thing of the past when cruise ship shuttle buses park in the Octagon this season. 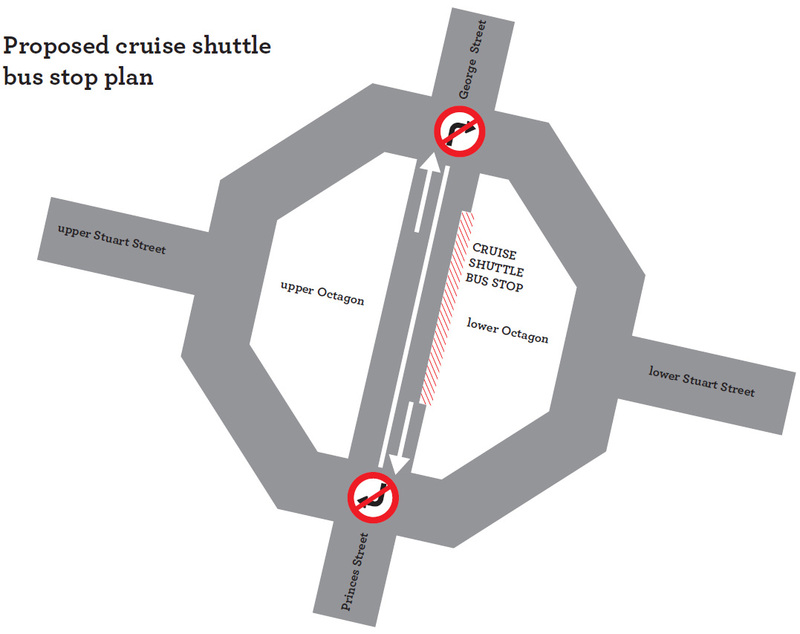 The Dunedin City Council is proposing a trial for this cruise season, which starts on 8 October, which will see shuttle buses dropping off and picking up passengers on the lower, eastern side of the Octagon carriageway, rather than on the upper side. Dunedin City Council General Manager Infrastructure and Networks Tony Avery says this option has several advantages. The lower side of the Octagon carriageway has a full canopy for shelter and a larger flat area for passengers to wait. Under the previous arrangement, orange cones were placed on the roadway to separate shuttle parking from traffic. Some people criticised this traffic management approach, saying it was visually unappealing. Under the proposed arrangement, the centre line would be moved and a 50m long bus stop for cruise shuttle buses only would be introduced on the lower Octagon side. There would be some traffic signal phase changes and right-hand turn options at either end of the carriageway would be removed. Mr Avery says key stakeholders such as the Police, the New Zealand Transport Agency, the Otago Regional Council, taxi companies, tourism operators and nearby businesses are being asked for feedback on the proposed change. Staff will review the feedback and make a decision in time for the arrival of the first cruise ship on 8 October. If the proposed change is introduced, the trial would last for the cruise ship season and be reviewed in May next year. During the trial, the DCC would monitor and assess traffic volumes and public feedback. Cruise ship visitor numbers have almost doubled in five years to about 200,000 visitors a season. Cruise ship passengers now make up 8% of the city’s visitors. “This means cruise shuttle parking, as part of looking after our visitors, has become an important issue,” Mr Avery says. Contact General Manager Infrastructure and Networks on 03 477 4000. Dunedin’s port company has banned tourism operators from the wharf after widespread complaints from cruise ship operators about cowboy activities. The problems have continued despite an accreditation system launched last year to vet operators. Port Otago commercial manager Peter Brown said very small number of operators abused the privilege of being on the wharf and the accreditation programme was unable to deal with that. Mr Brown says the port company has decided from October all tourist operators will wait outside the port’s gates and the city council’s information centre will handle booking and direct passengers. Complaints have been made about tour operators fighting among themselves, sleeping in vehicles to secure prime wharf positions and being abusive to cruise passengers at Port Chalmers. Accordingly, Port Otago has banned operators from the wharf for the next summer cruise season. Up to 47 tour providers accessed the wharf each cruise day during the 2012-13 season. Port Otago received complaints directly from passengers, cruise lines and other tour operators, as well as an expression of concern from Cruise New Zealand. 4.11.09 Lonely Planet. Dunedin rave. Port Otago chief executive Geoff Plunket said a review of Chalmers had decided because its largest holding was in Dunedin it was “under-represented” here, and the head office should be relocated. Port Otago is relocating its subsidiary company Chalmers Propert[ies], which has a $197 million property portfolio around the country, from its Wellington headquarters to Port Chalmers. […] Within Chalmers’ $197 million portfolio, $110 million is in Dunedin, $65 million is in Auckland and the balance of $22 million is in Hamilton. Chalmers is a partner in a 50:50 joint venture in Hamilton. […] Longtime Chalmers chief executive Andrew Duncan is not relocating to Dunedin and a job for general manager of property is being advertised by Port Otago. The job is to be based in Port Chalmers, with administrative support. The recently uncovered murals painted as back-drops to an 1892 Japanese Festival in the Port Chalmers Garrison Hall can be seen when the Hall is open to the public between 1.00 and 3.00 pm on Sunday 12 June. This will be the only public opportunity to see them “in-situ” before they are taken down.